A decorative leather saddle adds flair to this genuine moccasin classic. A removable footbed cushions each step, while a hidden elastic panel stretches for an easy and secure fit. A stylized wedge heel offers stability. Designed to fit and mold the shape of your foot. The genuine moccasin construction wraps soft supple leather completely around your foot. 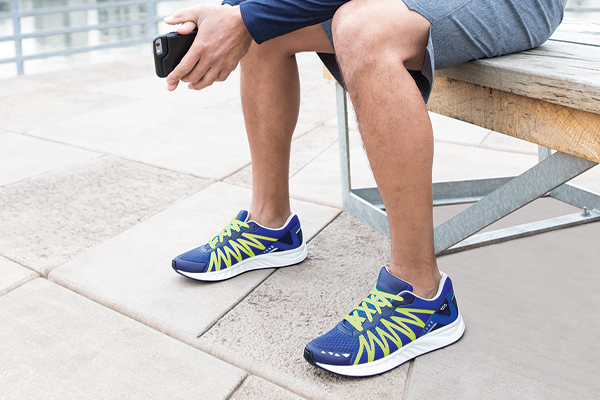 Our SAS Tripad® Technology insole and our SAS Wedge Heel Sole are designed to reduce the shock of each step while still promoting long-lasting all day comfort. Initial fit should be wide enough to stay comfortable across the ball of the foot and roomy enough in front so the toes are not cramped. The heel should be snug and should not slip while walking. No-Bite Padded Back Gently holds the ankle and heel without biting or pulling. SAS Shock-Absorbing Soft Step Wedge Heel: Greatly reduces the shock of each step.